Let me introduce myself; my name is Abbie. 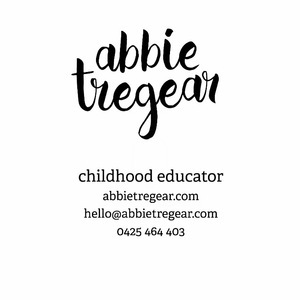 I’m a passionate and experienced nanny, I’ve been caring for children for many years with four years experience in early childhood education and almost three years nannying. Whilst been apart of my community babysitting for local families since I was 14. I’m a fun, energetic and engaging carer, parents find me mature and responsible- I’m 25 years old and have completed my certificate three in early childhood and have started my diploma. I hold a valid first aid and WWCC. I’m seeking full time employment as well as causal babysitting and look forward to meeting my next nanny family.